Summertime is here and it’s time to hydrate the crowd at your next pool or patio party with a refreshing elixir. 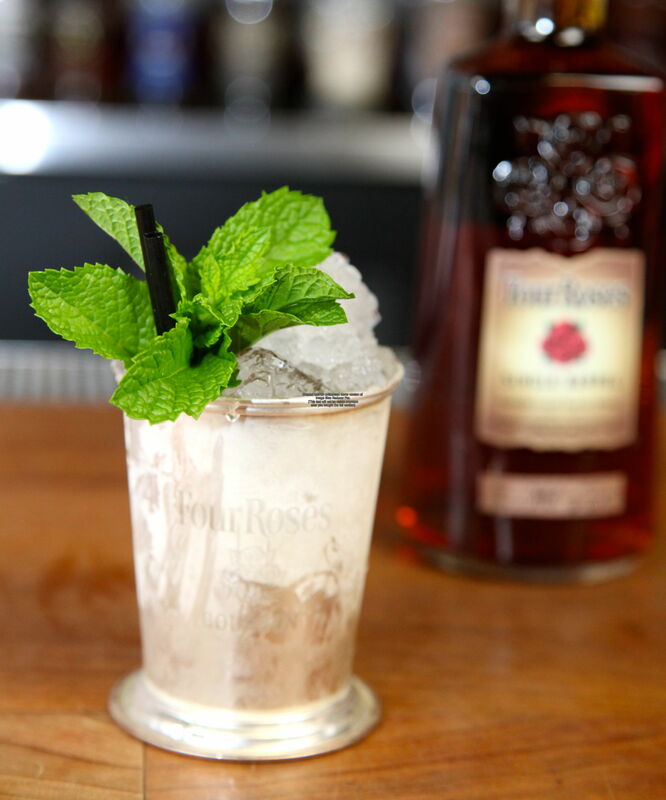 Susie Hoyt, Beverage Director at The Silver Dollar in Louisville, KY (recently named a “Top 10 Whiskey Bar” by GQ), is here to make you a seasonal bartender par excellence, providing delicious bourbon-based cocktails that are easy-to-craft and worth a second sip (and third, fourth, etc). Hoyt has tended bar at some of the best cocktail bars in the nation (like the Violet Hour in Chicago), and like any good bartender, she’s generous. Here, she serves up recipes that are sure to change the mind of even the most adamant vodka-and-cran drinkers, as well as offerer a sophisticated alternative to your Bud Light Lime friends. Around here, we’re convinced bourbon is the new drink of summer (and fall, winter, spring), so enjoy. Muddle lemons and add remaining ingredients including 5 drops of Agent Orange bitters. Shake and pour into a collins glass over ice. Top with soda. Garnish with 5 drops of Agent Orange bitters. Muddle lemons in tin and add the rest of the ingredients. Shake and strain into an old fashioned glass with ice. Gather 5 large mint leaves (more if the leaves are smaller) and smack and rub on the inside of a julep glass down low over the trash. Discard that mint and add demerara syrup and bourbon to the tin. Stir with a spoon, and fill the tin half way with crushed ice and swizzle for a few seconds. Move quickly and fill the tin to the top and pack, and then add the crushed ice snow cone on top. Insert two julep straws and put the mint sprig garnish next to the straws. Serve with straws at 6 o’clock position. Demerara syrup is two parts demerara sugar and one part water cooked for 30 min and chilled. The post Summer Means Bourbon appeared first on The Bourbon Review.